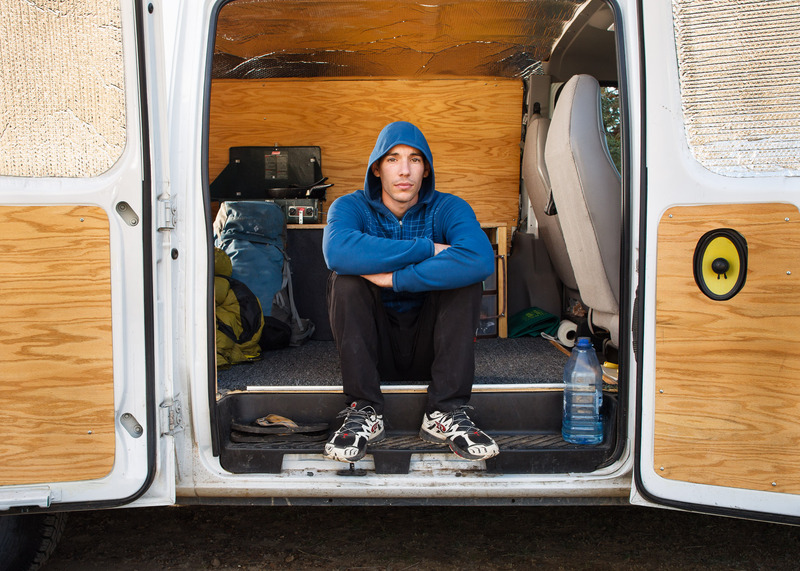 portrait of Alex Honnold in his van at the "Grasslands" camp near Smith Rock State Park. Terrebonne, Oregon. Alex lives out of his van full-time.